Ogier began the final day of running with a 27-second advantage over Evans, and took a buffer of 24.4s into the rally-closing Power Stage as Tanak won both the morning's stages. 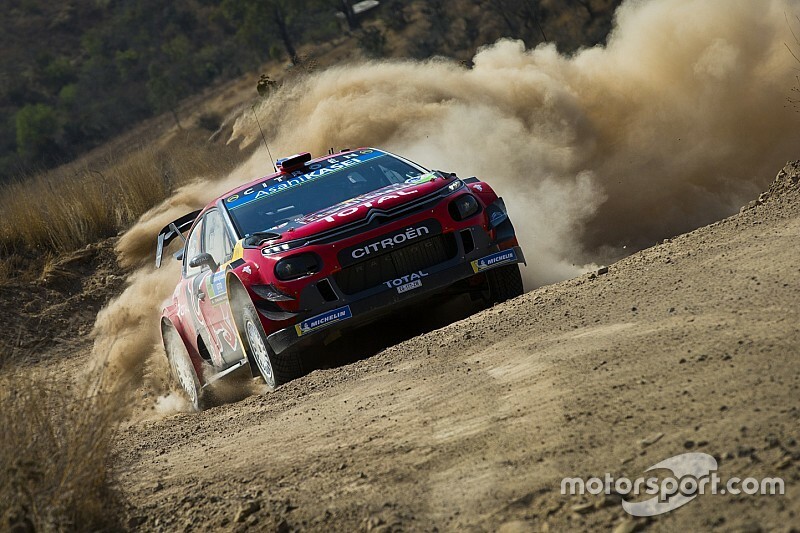 The Citroen driver eclipsed Kris Meeke for Power Stage victory by only 0.025s, ending up with 30.2s in hand over Tanak and securing the maximum available 30 points on offer. It means Ogier moves up to second in the points ahead of Hyundai's Thierry Neuville on 61 points, four behind Toyota driver Tanak on 65. Tanak had passed M-Sport Ford's Evans on the loop-opening Alfaro test, finishing 19.7s ahead of Evans, who completed the podium. The pair had been separated by 7.2s heading to Las Minas but a 10s penalty awarded to Evans for being late to check-in effectively secured second for Tanak before the Power Stage. Neuville finished a distant fourth, and also picked up three bonus points by going third-fastest on the Power Stage, 0.532s behind Ogier. He now lies 10 points adrift of Tanak as a result. 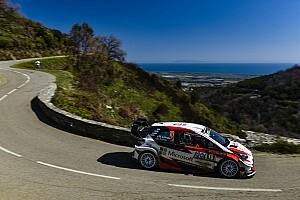 Meeke completed the top five after coasting through the morning stages to save his tyres for a push on the Power Stage, which helped the Toyota driver to four bonus points. Benito Guerra scored his first ever WRC2 win on home soil, the Mexican driver taking sixth overall in his Skoda Fabia R5 amid high attrition in the top class. 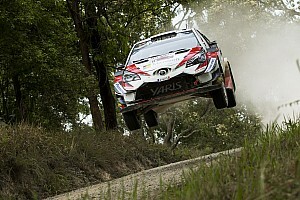 Jari-Matti Latvala (Toyota), who retired with an alternator failure on Friday and returned under Rally2, began the Power Stage only 3.3s ahead of WRC2 driver Marco Bulacia Wilkinson in their fight over seventh place. Both drivers had trouble on the final stage, a front right puncture afflicting Bulacia Wilkinson and Latvala slow through the stage with a broken radiator, picked up on an impact in the penultimate corner of the previous stage. Latvala’s Yaris completed the stage with its radiator sealed by glue and its front bumper missing. However, he picked up a 40s penalty, Latvala’s emergency repairs forcing him to check out late from the regroup between Mesa Cuata and Las Minas. 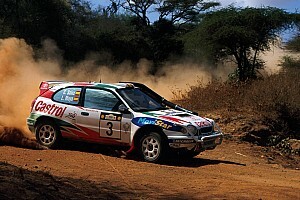 That allowed Bulacia Wilkinson to secure seventh overall despite finishing the Power Stage slower than Latvala, who was demoted to eighth by his fourth time penalty of the rally. Dani Sordo (Hyundai) finished ninth on his return from Friday retirement and also picked up two bonus points for fourth on the Power Stage, with Ricardo Trivino completing the top 10 in a Fabia R5. Fellow Rally2 returnees Andreas Mikkelsen (Hyundai) and Esapekka Lappi (Citroen) finished 11th and 14th respectively, the former also scoring the final Power Stage bonus point.